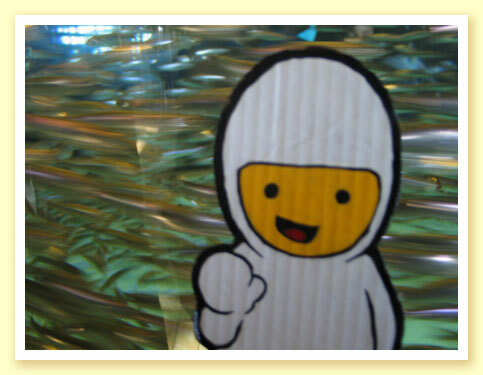 Bumperboy tries not to squirm in front of the tank full of live anchovies. January 2007. 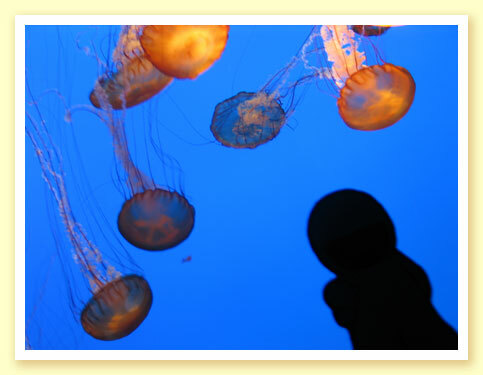 Photo taken by Debbie H.
Bumperboy dreams of swimming with all the beautiful jellyfish...without getting stung, of course! Yipes! 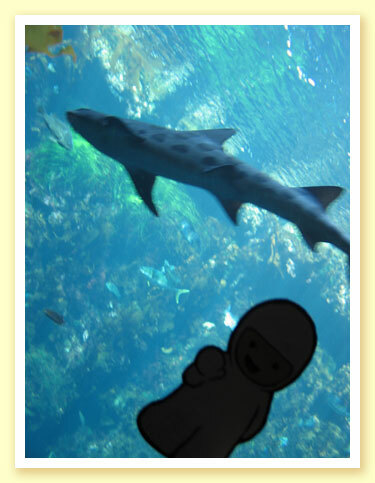 It's a leopard shark! 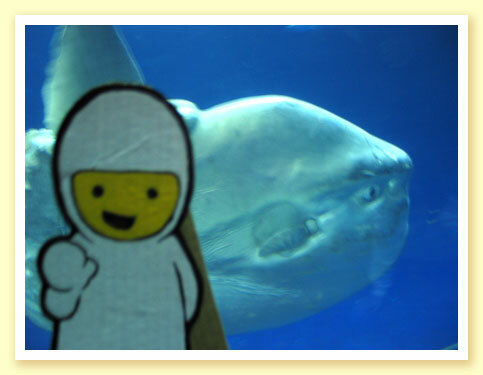 Bumperboy's pick for "weirdest fish in the aquarium" was this ocean sunfish. 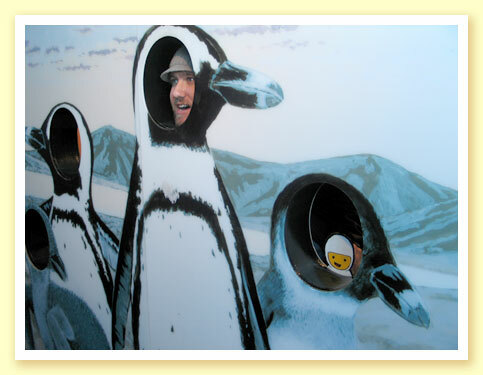 Ben and Bumperboy have some fun, imagining what it's like to be a penguin! 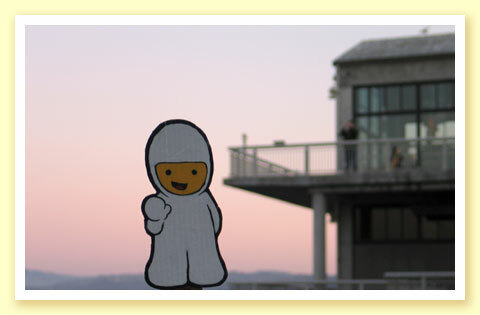 As the sun sets, it's time to say goodbye to Monterey! January 2007. Photo taken by Ben C.